If you’re anything like us, you are always searching for new road bike releases, new builds, and the best that cycling has to offer. It can be difficult to choose a list of the best new releases in cycling these days with such a range of incredible bikes to choose from. However, there are some that you can take a look at and known that regardless of your budget, you can find an excellent road bike in 2017. 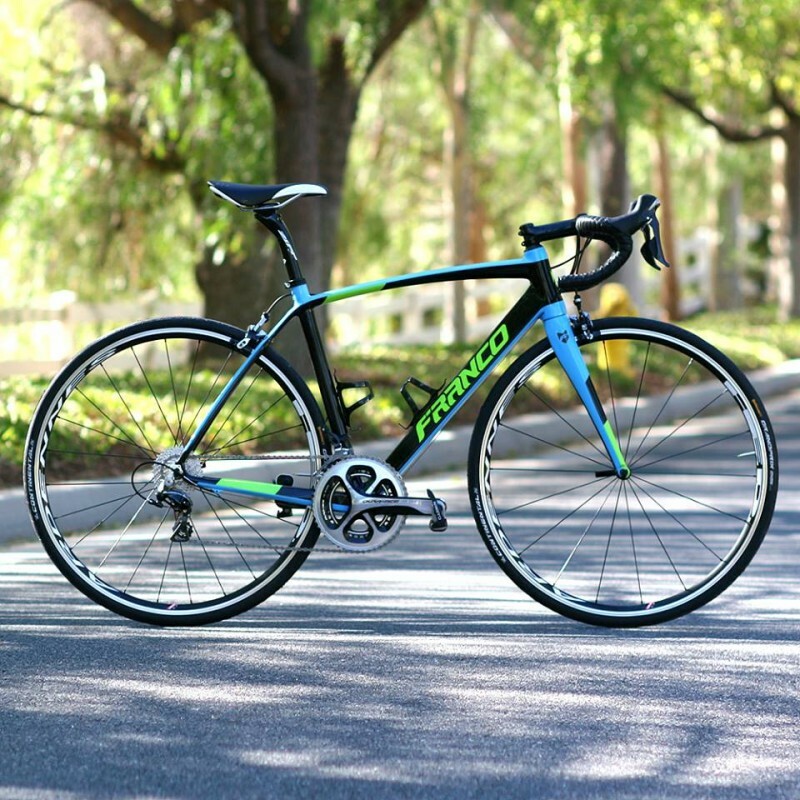 Take a look at the following three road bikes that we’re excited about for the coming new year. The Addict has been a favorite for many riders since it was reveals over 10 years ago, and the Scott brand has done it’s job well in bringing the Addict line up to modern cycling standards. With the overwhelming trend towards disc brakes, you can be sure that the Addict 20 Disc is following this trend for today’s serious cyclists. If you prefer rim brakes, no worries! 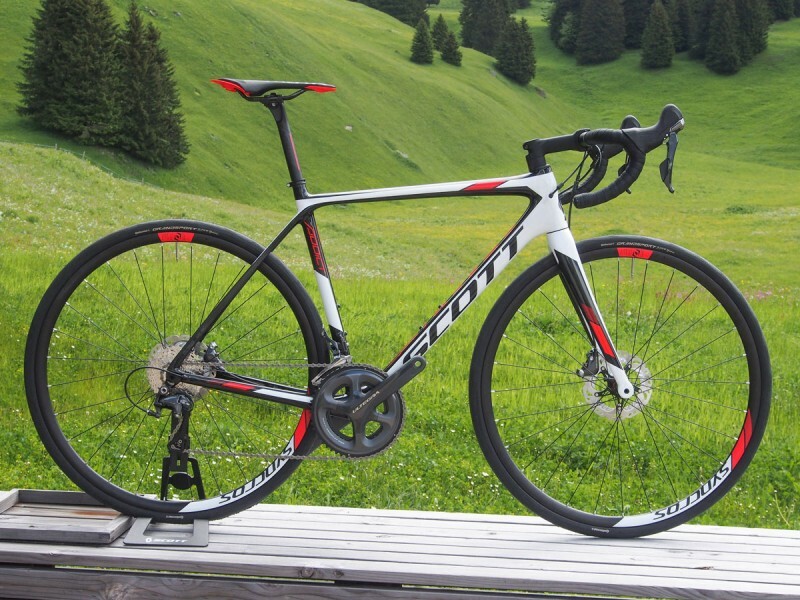 Scott still offers a full line of rim brake Addict road bikes, so you can have your cake and eat it too. At a reasonable price of around $3,800, this bike is not necessarily a top of the line model (this would be Scott’s Premium Di2), but for mid-level racers and cyclists preferring a more aggressive ride, this Addict 20 Disc has plenty of bike. This Addict 20 Disc features a great full Shimano Ultegra group set including flat-mount disc brakes for more reliable stopping power. The tires are a bit wider, as per the recent trend as well, at 28c. These are a great spec to add to this Addict as it increases comfort. However, note that it does add some weight as the Syncros wheels are made of a heavier alloy. This is why this model does not cost as much. However, don’t worry about this weighing you down, as you can still race past any competition and do it in comfort. Franco Bicycles is a small Southern Californian bike manufacturer that has been building their own frames and selling them direct to consumers. Similar to The Carbon “DNA” by Kelson Bikes: A Look at the New American-Made Performance Cycle, Franco’s Kanan is a custom built carbon road bike that offers you quality and high end performance for less money. The Kanan is the endurance model in Franco’s line and while it is supple, it feels so much quicker than many new racing cycles on the market. At only 14.3 pounds for a 56cm size bike, this carbon bike can climb rolling hills and take on the flat open road with equal ease. The great thing about Franco Bicycles is that not only do they custom create your bike and frame (no open molds are used), the price is less expensive and you can configure it to your needs and desires. Franco will build it and you will receive it nearly ready to ride, up to your own specs. 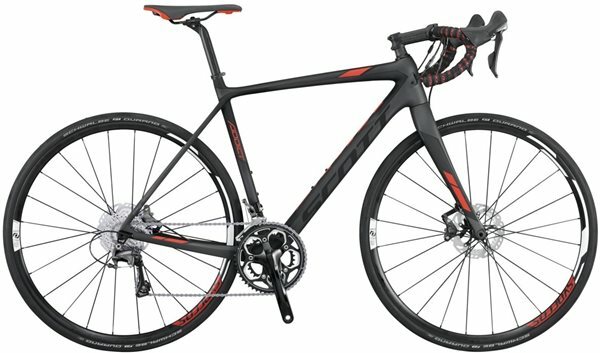 At a price of $6,500, you are getting a bike that would typically cost much more from any other manufacturer. With quality component parts, a hand crafted carbon frame, a lightweight design, and SRAM Red and HED Ardennes Black wheels, you can ride a high-end bike for a great price. Yes, the Cento 10 Air is a bit pricey, but for those who still prefer rim brakes over the latest disc brake standard trend, you will love this nearly perfect cycle. With deep-section HED tubulars, these rim brakes actually brake fantastically against the carbon — while not as well as disc brakes, many riders still prefer rim brakes over that of disc. 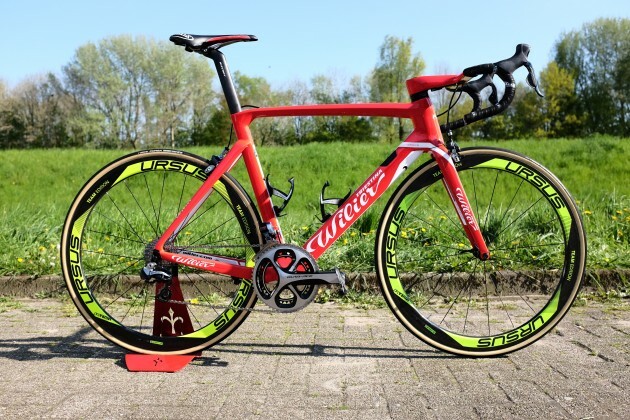 The bike itself is gorgeously detailed and per the norm for Wilier, the bike is wild in design but has a great stem-bar combination. There is exposed carbon on the tops but you can easily remedy thi with a full grip wrap if you prefer. The design of this bike is completely aero and it absolutely flies down both flat roadways as well as rollers. The 56cm size weighs just 15 pounds, which makes this carbon bike an extremely light aero that is peppy and perfect for serious cyclists. 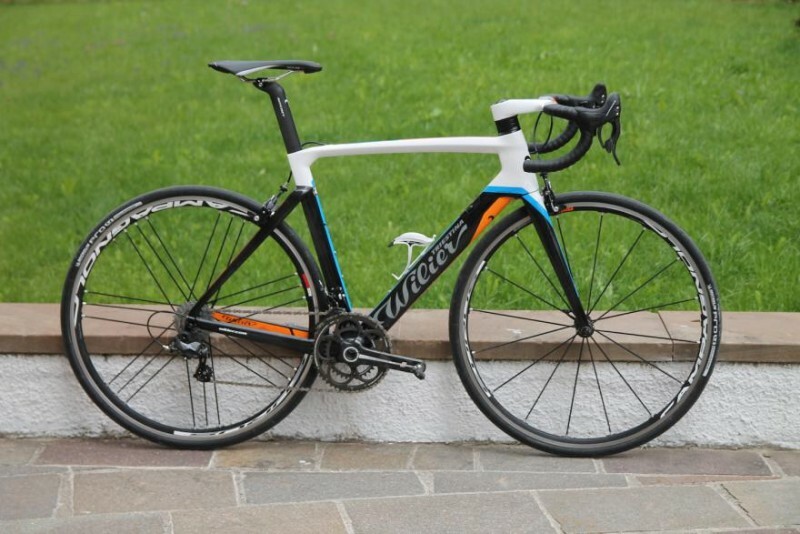 This Wilier Cento 10 Air is a bit expensive at over $8,000, although you can purchase a cheaper build that is less complete in build for around $6,400. You can also purchase Shimano RS-21 training wheels but we assume that most racers have their race hoops already. If you want an excellent, lightweight carbon aero racing bike and don’t mind the price tag, this rim brake cycle has everything you need for an outstanding ride on the road.